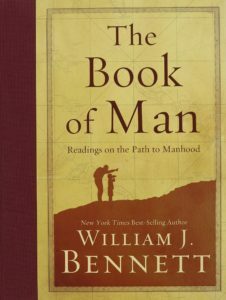 One of my new precious book acquisitions is another anthology by William J. Bennett, The Book of Man: Readings on the Path to Manhood. Today, I read The Funeral Oration of Pericles. 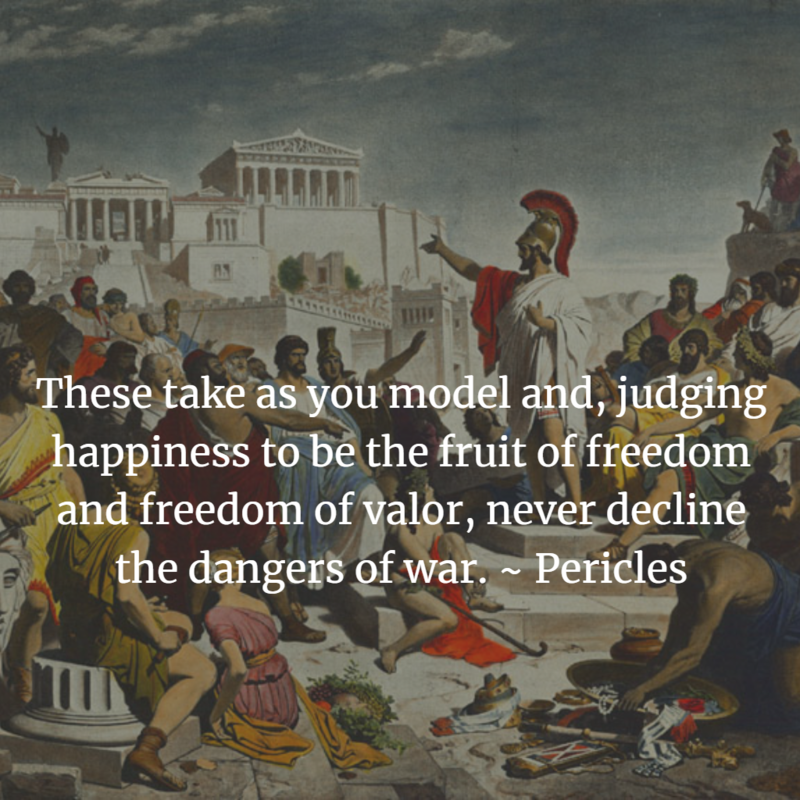 At the end of the first year of the 27-year Peloponnesian War between Athens and Sparta, the Athenian General Pericles gave a panegyric for the dead soldiers of Athens. Like other wartime wisdom, it contains spiritual lessons for those of us on the spritual path, which I want to record. But none of these allowed either wealth with its prospect of future enjoyment to unnerve his spirit, or poverty with its hope of a day of freedom and riches to tempt him to shrink from danger. No, holding that vengeance upon their enemies was more to be desired than any personal blessings, and reckoning this to be the most glorious of hazards, they joyfully determined to accept the risk… and to let their wishes wait; and while committing to hope the uncertainty of final success, in the business before them they thought fit to act boldly…. We all have hopes for this life, including the stability of riches and family. Yet some give their lives for a greater cause, letting their earthly wishes wait while they apply their youthful strength to something greater than ”personal blessings.” In this paragraph he cites the less than admirable motive of “vengeance upon their enemies,” but later he will talk of being devoted to a great idea – that of the blessings that the state of Athens bestows upon its citizens and the world. While our motives in serving God’s kingdom and church should be nobler than these, the principle of sacrifice of personal advancement for the kingdom of God seems important. Thus choosing to die resisting, rather than to live submitting, they fled only from dishonor, but met danger face to face, and after one brief moment, while at the summit of their fortune, escaped, not from their fear, but from their glory. Scripture declares that we each have a calling, a high calling, from God – that our gifts, passions, and opportunities call us to meaningful tasks in this life. Anything worth doing, including following the spiritual path, takes courage to overcome the inertia of fear. Fear remains, but I have to choose between resisting and submitting. 3. What do I love? Like the USA, Athens was not about ethnicity, but an ideal. Arguably, the American ideal is greater in scope and ethicality than Athens, and I believe that American nationalism is an admirable thing when it is about ideas and not ethnicity. But the Kingdom of God, and the work and life of the Church is greater still. 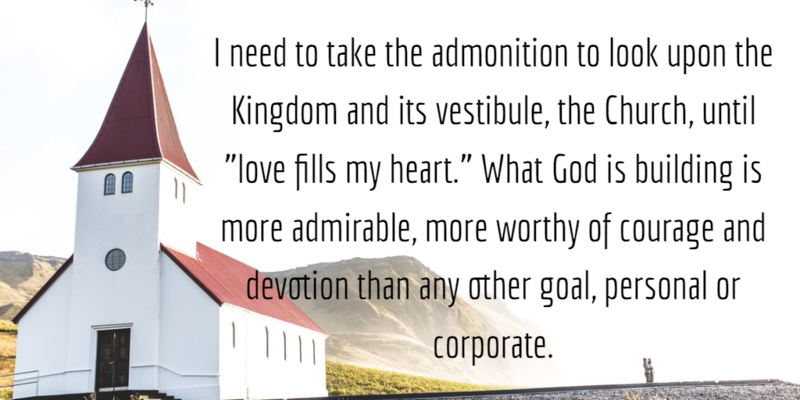 I need to take the admonition to look upon the Kingdom and its vestibule, the Church, until ”love fills my heart.” What God is building is more admirable, more worthy of courage and devotion than any other goal, personal or corporate. Perhaps my lack of motivation and courage is because I haven’t gazed on anything long enough to love it – or maybe because I’ve been gazing at the wrong things. …no personal failure in an enterprise could make them consent to deprive their country of their valor, but they laid it at her feet as the most glorious contribution that they could offer. My work for God, though requiring character and virtue, are not earned by such traits, and is not withheld from me by my failures. Most of the great heroes of history and scripture made unforgivable mistakes – Moses, Peter, Martin Luther King Jr. – yet they put themselves out there in service to God and others. How frightening to think that all people have feet of clay. Note that our failure to follow through due to concerns about our imperfections or failures, is “depriving others of our valor.” How much have I deprived others of the good things I have learned and become due to self doubt and fear of people seeing my flaws? These take as you model and, judging happiness to be the fruit of freedom and freedom of valor, never decline the dangers of war. Want to be happy? Live boldly for things that matter, that’s what I get out of this. In valor and courage is freedom. Don’t decline worthy battles. For it is not the miserable that would most justly be unsparing of their lives, these have nothing to hope for: it is rather they to whom continued life may bring reverses as yet unknown, and to whom a fall, if it came, would be most tremendous in its consequences. I have always somewhat disliked the parable of the widow’s mite (Mark 12:41-44), in which Jesus teaches his disciples that the poor woman who gave all that she had (“out of her need”) was more virtuous than others that gave out of their surplus. There is some indication that Jesus was not admonishing us to give sacrificially, but merely highlighting the hypocrisy of public giving by the rich. But what I have disliked about this is the idea that her giving up a few coins which could be earned back in a day of begging is the same as me giving up 10 years of savings in a day. I have much more of my life to lose than a single meal. And surely, to a man of spirit, the degradation of cowardice must be immeasurably more grievous than the unfelt death which strikes him in the midst of his strength of patriotism! …. For it is only the love of honor, that never grows old; and honor it is, not gain, as some would have it, that rejoices the heart of age and helplessness. We will all be old and helpless one day, at the door of death. How will we feel about our lives? 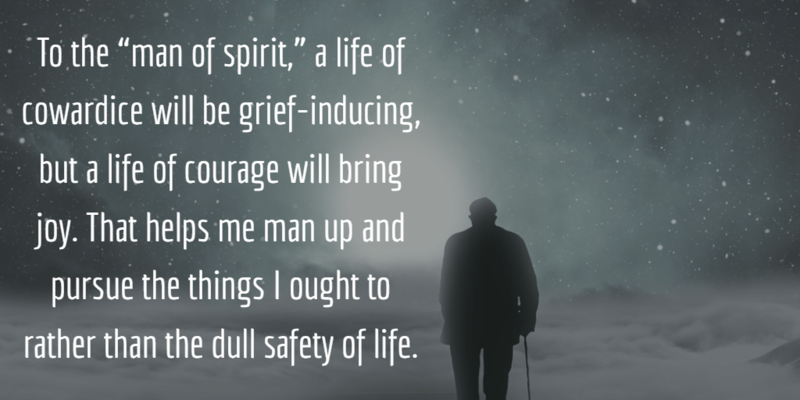 To the “man of spirit,” a life of cowardice will be grief-inducing, but a life of courage will bring joy. That helps me man up and pursue the things I ought to rather than the dull safety of life. Not that I abandon the wisdom of saving or wise living, nor do I take wild risks. Instead, though, I take consistent, calculated risks to pursue what God has for me rather than the American dream of safety, venturing little. God help me to do so.